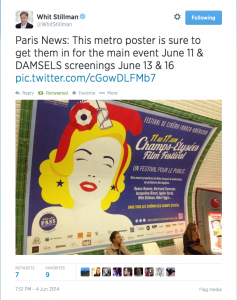 Whit Stillman will be an honorary guest at the Champs-Élysées Film Festival. He will be giving a masterclass and will screen three of his films (Barcelona excluded). The fest runs June 11-17.